Dr. Graybones And His Curious Knapsack is Sold Out! We just received word from Deep Vellum Books that the White Rock Zine Machine zines is completely sold out! That means all of the signed first editions of Dr. Graybones and His Curious Knapsack are SOLD OUT! But don't worry, we're looking into publishing a second edition with a slightly bigger format, which will give us more room for additional text. We're researching a few micro grants to help cover the production cost. Lisa Huffaker at the White Rock Zine Machine is already corralling a new batch of writers and artists for her third flight of zines. Check out their website for updates. Lavish illustrations of giant toadstools fill the journal of Dr. Graybones, a hobo who road the Southern rails between 1943 to 1953. Posted here are a few of the sketches pulled from his journal. "Everyone left after the water turned sour. No one camps here anymore"
It appears he had multiple encounters with what he refers to as Giant Toadstools. Many of these he graphically illustrates. "The oil covers everything except the giant toadstool"
"It's not all the junk, it's the car that these toadstools like"
A small catalog of Dr. Graybones' drawings and personal effects will be published by the Nomadic Fungi Institute in conjunction with the White Rock Zine Machine. Subscribe to the World Of Nomadic Fungi for more details. After his wife and child died and the government took away his family farm Sam Gray had no home left to return to so he began hopping freight trains, utilized the network of tracks sprawling across the Southern States to keep ahead of his war induced necrosis. He survived by foraging and doing odd jobs. Occasionally he used his experience as a combat medic to help people in need. 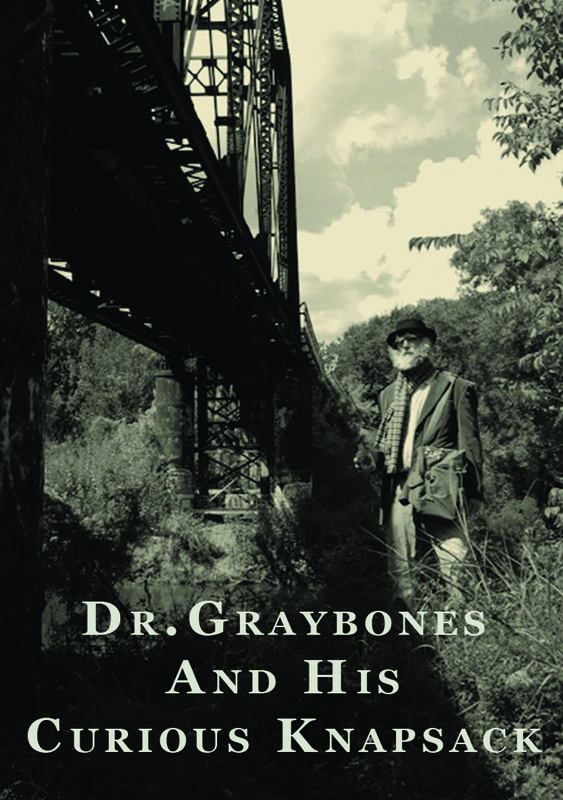 As time passes, people along the tracks began to refer to him as Dr. Graybones due in part to his downcast nature and his ability to set broken bones. During his wanderings Sam kept a journal where he recorded over a dozen encounters with what he called "Giant toadstools growing on automobiles'. In the summer of 1953 Sam approached the Rev. P. Fowler who ran the soup kitchen in Talladega Alabama. He asked the Reverend to safeguard his knapsack. The Reverend having heard of Sam's good reputation gladly accepted the duty. Sam left the church and was never heard from again. The complete biography of Sam Gray - Dr Graybones And His Curious Knapsack is published by the Nomadic Fungi Institute. The first edition is available through the White Rock Zine Machine. "This toadstool seems to like that abandoned car and all the rubbish"
Between 1943 and 1953 a hobo known as Dr Graybones drew more than a dozen pictures of the "Giant Toadstools" he encountered while hopping freight trains. Posted here are few drawing pulled from his journal. "Empty drums, rusting metal, sticky rubber, and a massive toadstool." "I'm half frozen and half starved, it must be Christmas"
The Nomadic Fungi Institute is very happy to announce the publication of Dr Graybones And His Curious Knapsack. 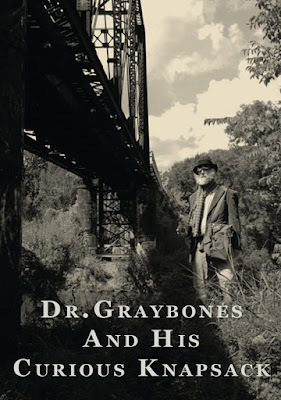 Dr. Graybones was a hobo, hopping freight trains from 1943 - 1953. During that time he kept a journal where he graphically rendered several of his encounters with peculiarly large toadstools. This exciting mini-bio will debut as part of the White Rock Zine Machine October 7th at Deep Vellum Books in Dallas TX. The Nomadic Fungi Institute has worked in conjunction with the White Rock Zine Machine to make this publication possible. Samuel Gray was born on August 23, 1921 at his family's farm in Moss Springs Tennessee. 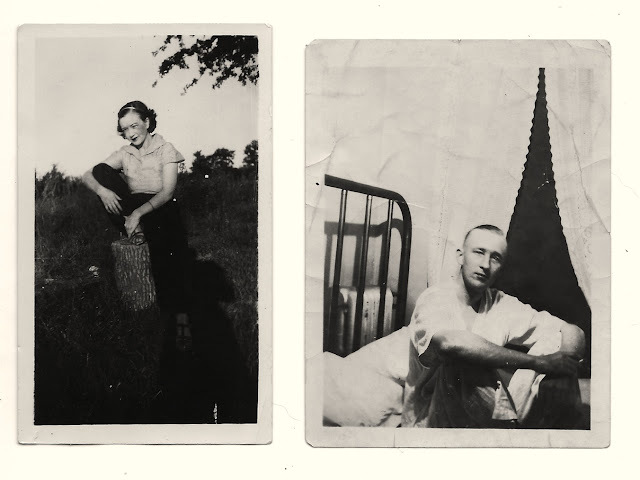 He was drafted into the US Army the day after his twenty first birthday in 1941. Before leaving for boot camp he married Janet Rowbark. She became pregnant with their first and only child Carolyn. At bootcamp Sam was given eight weeks of medical training and promoted to the rank of Field Medic First Class. He was deployed to the South of France in January 1942. 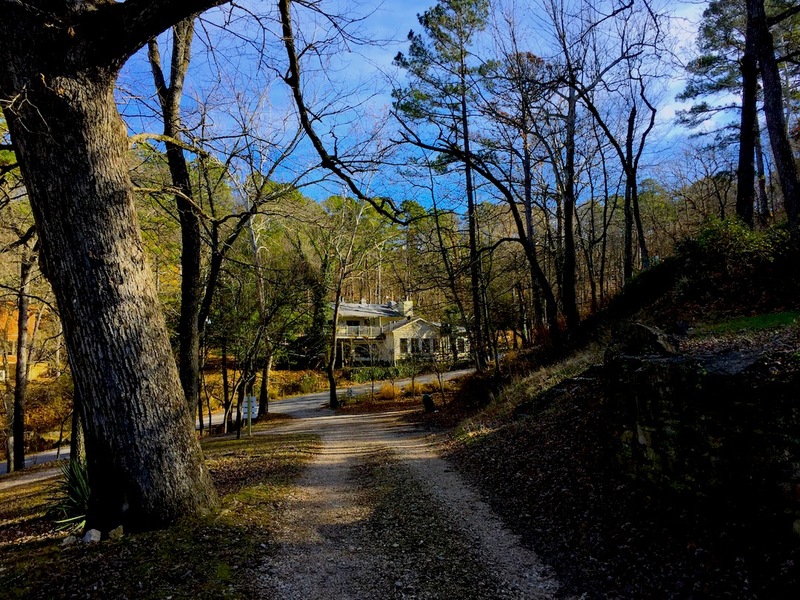 In April the US Government took possession of the Gray farmstead as well as the town of Moss Springs as part of a 90 square mile land acquisition act. This land was used for the top secret nuclear research and refinement facility that was later to be known as the Manhattan Project. The Gray family was given four weeks to vacate the property. Sam's father moved to Nashville in hopes of finding work. Janet and her baby moved to Pikeville to stay in a converted toolshed on her Uncle Bill's farm. In December both Janet and the baby developed scarlet fever and died. Their were buried in Pikeville. Sam was shot on the morning on January 2nd 1943. He was treated in the field hospital for a wound to his left hand. They removed his small finger. from there he was shipped to the Crile Military Hospital in the United States. He remained there for three months where he was treated for combat fatigue and psychoneurotic disorder. On May 14th, Sam was honorably discharged and given a train ticket to Nashville. "The train pulled into Pikeville, and my eyes filled with tears, my ears filled with explosions, and my body turned to stone. 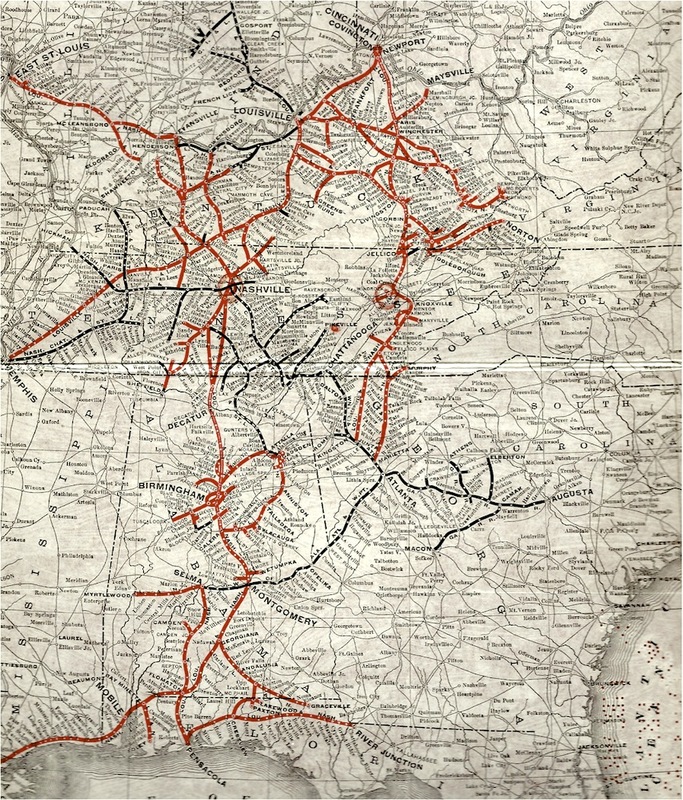 In time I realized the train was moving again, and I knew I would never set foot in Pikeville". ...Sixty years later as the old church was being dismantled Sam's knapsack was donated to the Nomadic Fungi Institute. Among the contents of the knapsack is Sam's journal. 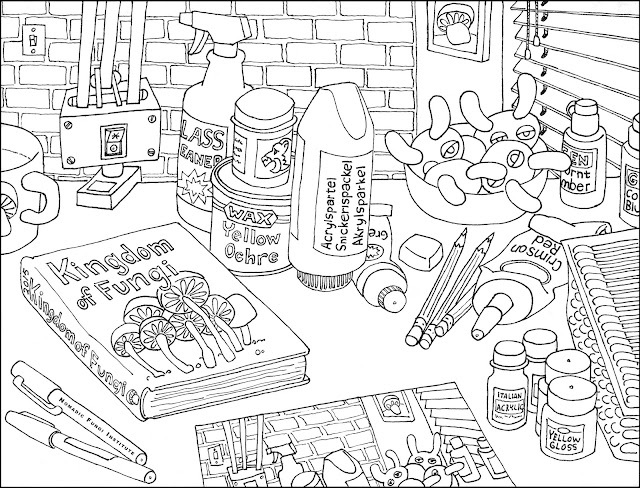 It is stuffed with his drawings of peculiar toadstools. These are the earliest known records of Nomadic Fungi yet found, pushing the date back to 1944. Subscribe to the World Of Nomadic Fungi for more information. The Nomadic Fungi Institute has received a curious knapsack whose contents has pushed the earliest documented sighting of a Nomadic Fungus back to 1944. This knapsack belonged to Dr. Graybones, a hobo who traveled throughout the southern states from 1943 to 1953. Inside are the basic items that make life livable along the railroad tracks; a knife, spoon, matches, wool gloves and a journal where Dr. Graybones penned down his observations, including several encounters with Giant Toadstools. The Nomadic Fungi Institute is in the process of archiving this canvas treasure trove and will soon publish a small catalogue - Dr Graybones And His Curious Knapsack. The first edition will be available through the White Rock Zine Machine and the Deep Vellum bookstore. The Nomadic Fungi Institute has successfully cultivated Nomadic Fungus spores in a controlled laboratory setting. After two years of research and laboratory testing, NFI is happy to release these photographs from the Nomadic Fungi Spore Sprouting Test. The multi step process of sprouting the Nomadic Fungus spores begins with the creation of a cocktail that the spores can thrive in. 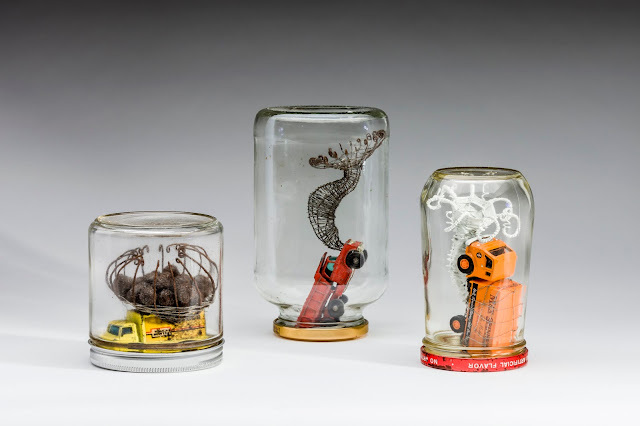 Next, pour that funky mix into a jar and add a diecast car to act as a host for the fungus to feed upon. It was a bit of a dangerous decision whether to engage in these tests. The risks involved in handling a voracious material which if successfully germinated posed an added risk of containment breach. After weighing all the options and conducting in depth research on containment and sterilization, NFI decided to push ahead with the tests. The results as you can see from these photographs has been amazing. These bonsai sized Nomadic Fungi Lab Samples will be essential in our research on how this parasitic fungus can rapidly biodegrade materials such as petroleum, rubber and plastic. The results of the Spore Sprouting Test are on display at RO2 Art June 25th - July 23rd 2016. This exhibition represents the culmination of two years of research, and provides a step-by-step guide to the scientific process used in these tests. By collection and germinating Nomadic Fungus spores NFI has taken the dangerous but necessary step in proving once and for all that the existence of this various eater of automobiles is not an urban myth or the hallucinations of drug addled beatniks. The staff at NFI are buzzing around like bees cranked up on high fructose corn syrup, digging through metal filing cabinets, documenting the progress of the Spore Sprouting Test and getting things ready for the exhibition at RO2 Art. The photograph presented here is of the Spore Sprouting Test: Cargo Lorry. The view is looking down through the magnified glass end of the containment jar. There will be 75 of these jars on view as well as a dozen fully formed Lab Samples. 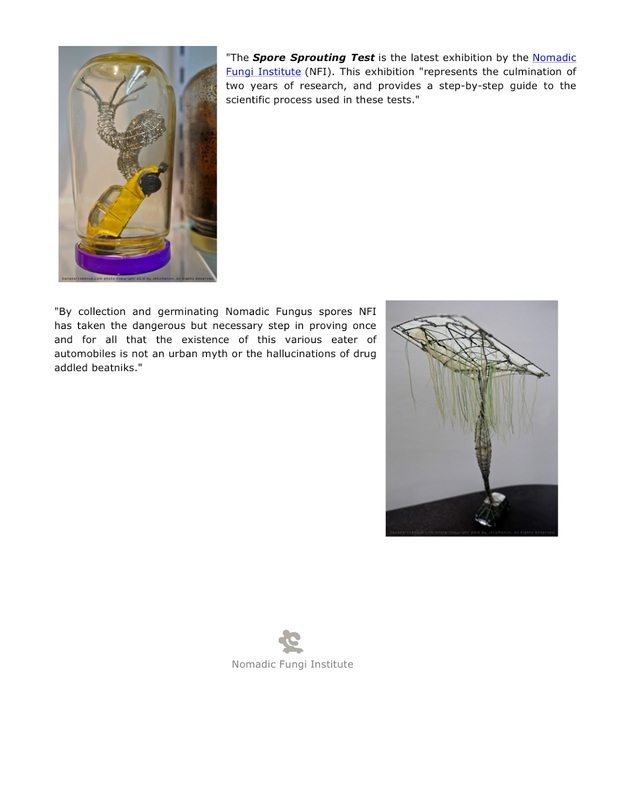 The Spore Sprouting Test is the new exhibition presented by the Nomadic Fungi Institute at RO2 Art. NFI has been conducting spore sprouting tests to ascertain if Nomadic Fungus spores can be coaxed to germinate and encouraged to grow under laboratory conditions. This exhibit represents the culmination of two years of research and offers a step-by-step guide to the scientific process used in these tests. The Nature of Cordyceps exhibit looks at a peculiarly nasty little fungus known as Cordyceps, and traces its connection to Nomadic Fungi by way of the profit driven pharmaceutical biotech industry. Fun stuff. Presented by the Nomadic Fungi Institute, exhibited at the Gallery at North Haven Gardens. Closes on Sunday May 15th. As the people shuffle by a few will notice the odd little flatbed lorry with the lattice work fungal growth. 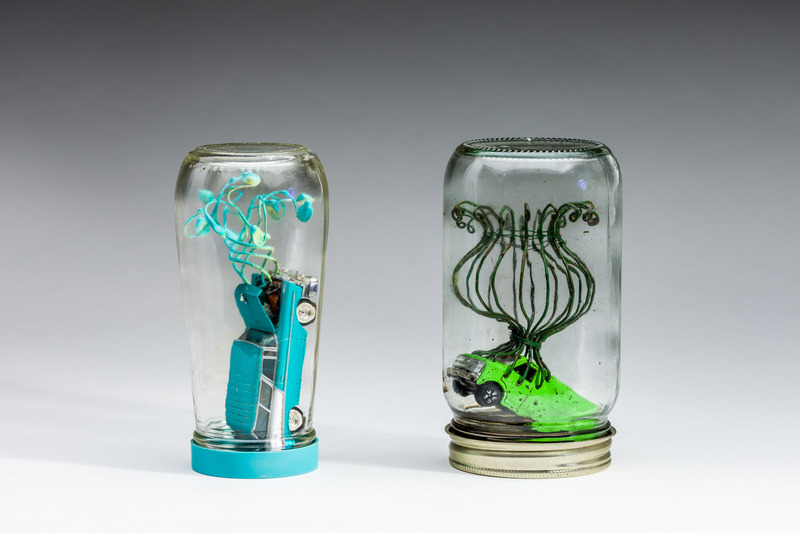 There are two NFI Lab Samples on display with Ro2 Art at the Dallas Art Fair this year. Keep an eye out for them. 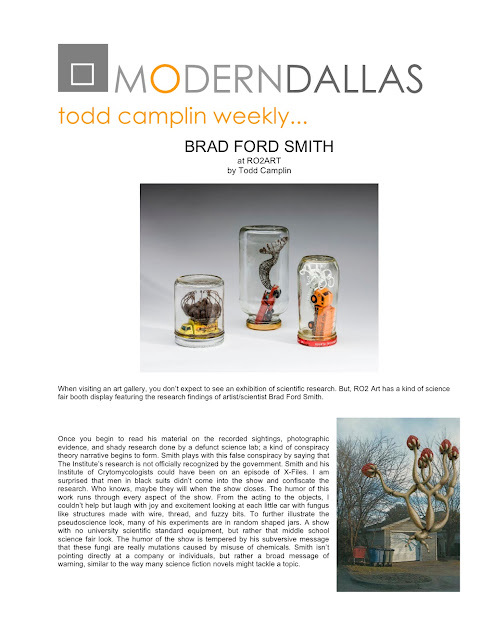 The big news this week is that NFI will have two NFI Lab Samples on display with Ro2 Art at the Dallas Art Fair. With over 10,000 visitors in 2015, this year's Dallas Art Fair represents the largest crowd that NFI has been exposed to to date. Cordyceps is a genus of fungus that propagates through parasitic behavior. The airborne spores drift down and attach to small insects such as ants, caterpillars, and crickets. The spore uses an enzyme to melt into the host insect. Then it sends out roots that attach to the central nervous system of the insect, overriding the insects mental and physical functions. 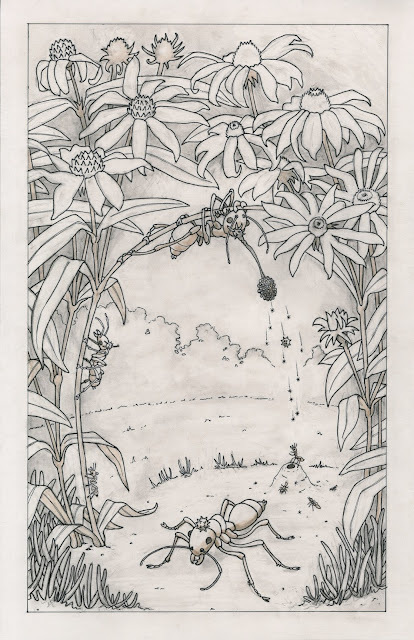 Thus impaired, the insect moves in a zombie like fashion, climbing up a plant stem as high as possible where it firmly attaches itself and waits. The cordyceps spore, which has been feeding off the body fluids of the host insect soon ruptures through the insect's skin and grows into long horn shaped stroma. These stroma develop thousands of fresh spores that are taken up by the wind and silently float back down to the earth, landing on new unsuspecting insects. The Nature of Cordyceps is a new exhibit present by the Nomadic Fungi Institute at The Gallery at North Haven Gardens. 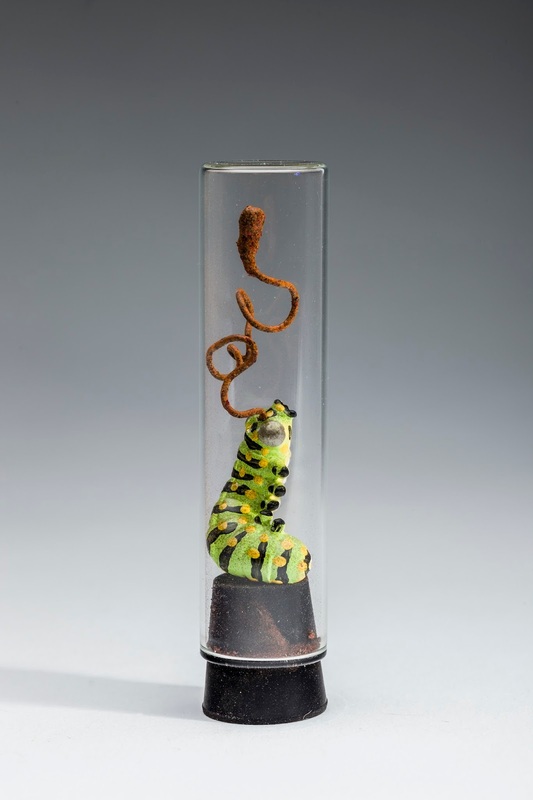 This exhibit will focus on Cordyceps Sinensis, a parasitic fungus that thrives in the Alpine grasslands of Tibet where it feeds on the larvae of the ghost moth. 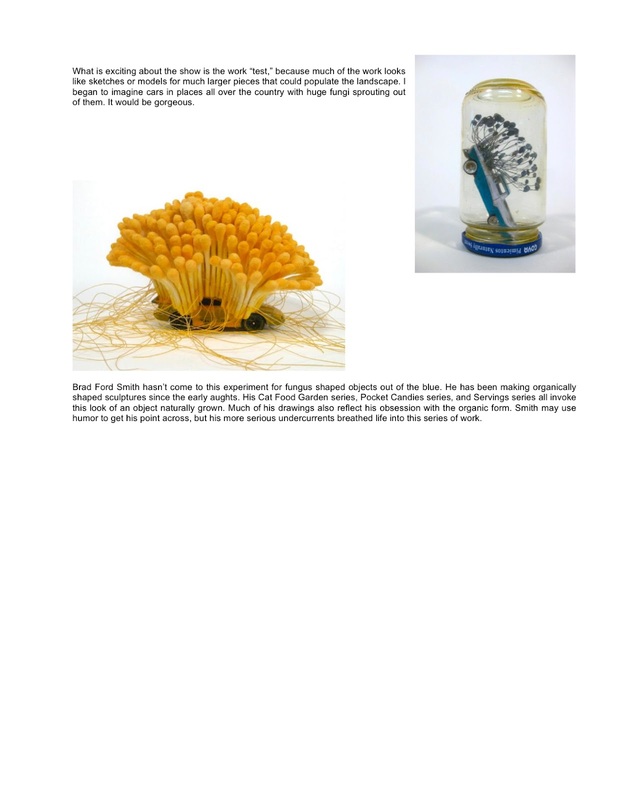 Documents, artifacts and specimens will illustrate the nature of Cordyceps and how it has become a multi billion dollar industry. The exhibit is being held at The Gallery at North Haven Gardens from March 18th - April 22nd. The opening is on Friday March 18th from 5 - 7pm. The Nomadic Fungi Institute is very excited to be presenting the exhibit The Nature of Cordyceps. Culled from the NFI's vast collection of archived photographs, drawings, and specimens, the exhibit will focus on the illustration of the parasitic fungus known as Cordyceps, its life cycle and how manipulation by global enterprises could potentially lead to unexpected outcomes. NFI has a long history of documenting cordyceps because it shares several characteristics with Nomadic Fungi. The similarities between the two species point to a possible link that could help explain the origins of Nomadic Fungi. 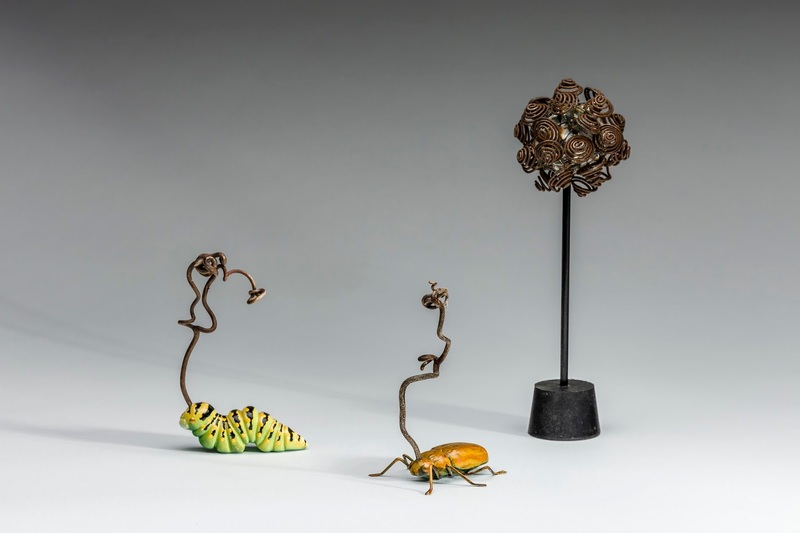 This March, the Nomadic Fungi Institute will be presenting the exhibit The Nature of Cordyceps at The Gallery at North Haven Gardens Gallery. On the right is one of the documents that will be on display. It's an early drawing by our founder Mr. Wobbler for his encyclopedia on parasitic fungi. It illustrates a cross section of a Ghost Moth larvae before contact with Cordyceps Sinensis. We have yet to find the after drawing but we'll keep digging. The opening presentation will be held on the March 18th. The exhibit runs from March 18th through April 22nd. Please contact North Haven Gardens for exact hours of operation. The Nomadic Fungi Institute has been so busy with research, lab work and preparing samples for the upcoming exhibit at North Haven Gardens in March that we haven't had time to let people know that NFI has been out there doing lots of BIG things. 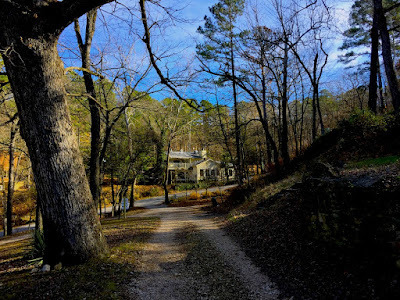 So, we sent our intern to the Writer's Colony in Eureka Springs with a long To Do List. He'll be digging through a backlog of NFI digital files, posting updates on the NFI Blog and writing text for the North Haven Gardens exhibit. Hey sometimes you have to toot your own horn .... even if it's a little after the fact. Last fall, NFI was invited to display a few choice items in the Chaos exhibition at RO2 Art. Pictured above is a Nomadic Fungi Lab Sample next to a photograph of the car the Nomadic Fungus spores were collected from. It was serendipity that the Nomadic Fungi Institute Lab had just finished the sterilization treatment on the Nomadic Fungus Zap-Em Pest Control Van when the 6th annual Vinyl Thoughts Exhibition popped up. So we contacted Cody and Shelby over at Vinyl Thoughts Nation and asked about putting one of our lab samples in the show. They asked us if NFI worked with vinyl toys? Well kind of ... vinyl toy cars provide an excellent food source for Nomadic Fungi germination. So yeah, we most definitely fit the bill. This one night pop up show featured a surprisingly big assortment of talented Texas vinyl toy designers. It was a fun high energy evening with frantic buying starting long before the free alcohol hits the veins. Given the exhaustive amount of research the Nomadic Fungi Institute oversees, it's not surprising that our staff spends a lot of time at the library. Our good friend Executive Director of the Friends Of The Dallas Public Library Kate Park recently asked if NFI might consider creating a page for their upcoming first annual adult Dallas Library Coloring Book. We said "YES"! So, only two questions .... what to draw and who to draw it? Answer, our long term NFI Intern would unwittingly help us out. This somewhat shy, engaging, and slightly balding fellow when not busy working on tasks involving Nomadic Fungus, spends all his time drawing pictures of whatever is on his desk. Using our stealth field skills, we simply snatched one of his drawings, scanned it, edited out the coffee stains and sent the cleaned up JPG to Kate. Presto! The Dallas Library Coloring Book, released on last December 5 features over 20 local library loving artists. And from what we hear it has been selling very well to rave reviews. Our NFI office is happy to have a copy.